31st Governor of Illinois and 5th U.S. Ambassador to the U.N.
1 Find A Grave, (accessed 10/17/2014). 3 New England Historical and Genealogical Register, (New England Historic and Genealogical Society), 1982, Vol. 136, p. 329. 4 Craig, Blanche, Pennsylvania Heritage: The Fells of Longlands, West Newton, Pennsylvania: The Times-Sun (1959), 86, Heritage Quest (Digital Library). 5 Grand Haven Tribune (Grand Haven, Michigan), "Spring Lake Resident Rallies Against Former Son-in-law Adlai Stevenson II", 06 FEB 2012, http://www.grandhaventribune.com/opinion/opinion/180241, (accessed 06/11/2015). 6 Roberts, Gary Boyd, Notable Kin, Volume 1 , Santa Clarita, California: Carl Boyer, 3rd (1998), 6. 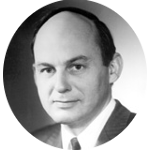 7 Wikipedia, "Adlai Stevenson II", (accessed 10/17/2014).